TABA is proud to announce its first Community Information Session to equip business owners and entrepreneurs with useful tools and resources for their business! The event is FREE and coffee and donuts will be provided. 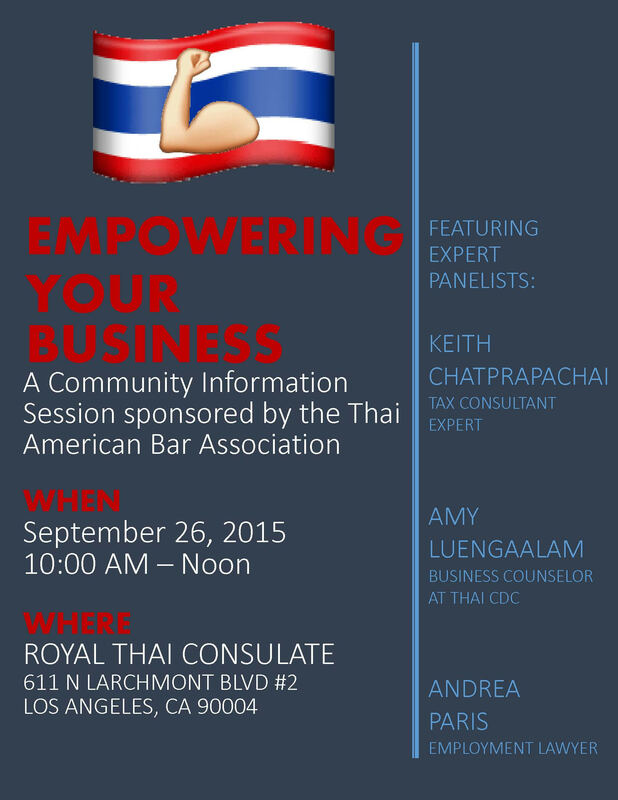 Please spread the word and join us on September 26, 2015 from 10:00 A.M. to Noon at the Royal Thai Consulate in Los Angeles.